“Over the next few months we’ll be testing many different proximity payments technologies (including NFC) and exploring numerous partnership opportunities,” says the online payments giant. 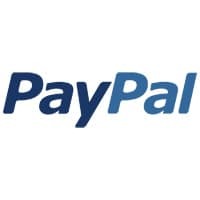 PAYPAL: "Exploring numerous partnership opportunities"
PayPal has begun an NFC payments trial in Stockholm, Sweden. The trial is small scale and involves two retailers, Alpingaraget and Webhallen, and lasts for just a few days. Customers who shop at the retailers are eligible for special offers if they make a payment with a contactless sticker attached to their mobile phone during the pilot. The move follows a deal PayPal signed with mobile payments specialist Accumulate in September, designed to enable the two companies to work together on mobile services projects for the Swedish market, as well as the addition of NFC-based peer-to-peer payments in the latest version of the PayPal Mobile App for Android. Payments solutions provider Point International, recently acquired by Verifone, is also involved in the trial. PayPal says the fact it is running an NFC trial doesn’t necessarily signal a major change in its attitude to NFC, however. This is the second time PayPal has participated in an NFC payments pilot with contactless stickers. In July 2010, it partnered with Bling Nation for a trial in Palo Alto, Silicon Valley. Facebook also participated in the trial.